A brilliant criminal psychologist, Alex works with the police to help solve the most complex of crimes in Los Angeles, city of illusions, glamour and infamy. An affluent family returns home from Sunday dinner only to find the murdered and brutalised corpse of a total stranger in their house. This baffling, twisted tale tests Alex and Milo to their intellectual and emotional limits. I've read every Jonathan Kellerman book since the first one was published in 1985. The earlier ones are most definitely of better quality. 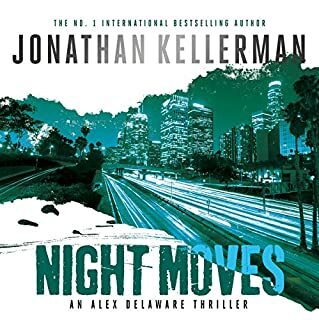 I found the plot of Night Moves overly complicated and on a number of occasions I had to go back and re-listen to stay with the plot. Overall, I was a bit disappointed. This is just an absolute joy! 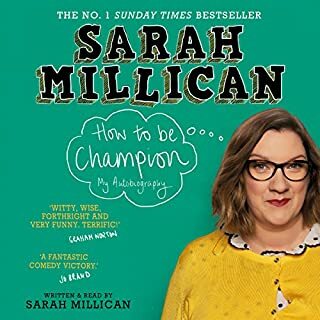 Funny, poignant, honest, sad and read wonderfully. I can’t recommend it highly enough. The ending - I feel it wasn't very believable. The narration was rather dull. The narrator made most people sound like they were in their 60's and his scouse accent was absolutely appalling. 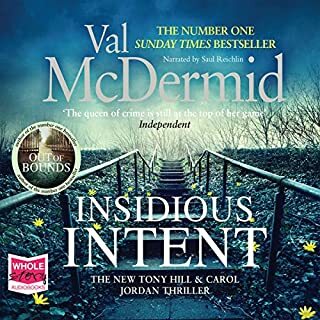 Was Insidious Intent worth the listening time? The first three quarters of the book definitely were, the last quarter not so. I absolutely loved this. 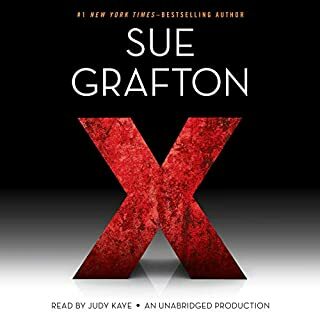 As an avid fan of Sue Grafton's alphabet series I was really looking forward to this and wasn't disappointed. 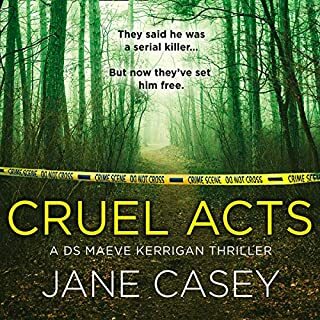 Judy Kaye's narration was brilliant, the story gripping and I finished it in record time. My only disappointment is that's there's only another two to come before the series of books comes to an end. I absolutely loved this book! 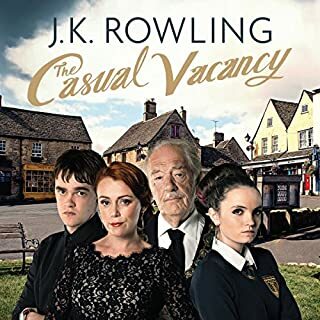 It was engaging, interesting and the insight given into suburban village life was absolute genius writing on Ms Rowling's part. The characters are unlikeable, but brilliantly crafted, the subject matter is rather depressing, but it is an excellent reflection on modern life. Tom Hollander's narration was fabulous too. If you're expecting grown up Harry Potter-esque storylines then don't bother, you won't like it. If you're looking for something a bit different, then give it a go. 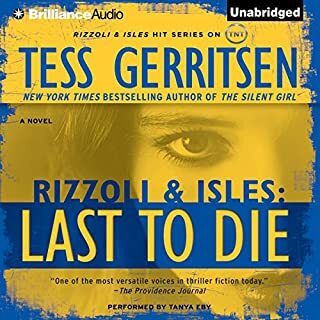 Having thoroughly enjoyed all the previous books in the Rizzoli and Isles series, I was really looking forward to listening to the unabridged version of Last To Die. Whilst it kept me entertained, I felt that the plot line was a bit on the weak side and the fact that I'd worked out the twist long before it presented itself was rather disappointing. Also, at times the narrator sounded a little automated, it was as if the text was being read by a computer! Having said that, I didn't regret my purchase, it kept me entertained and will no doubt be downloading the next one in the series when it arrives.